Is there anything worse than an old website? Yes, there is! An old website that has not been updated in a long time. 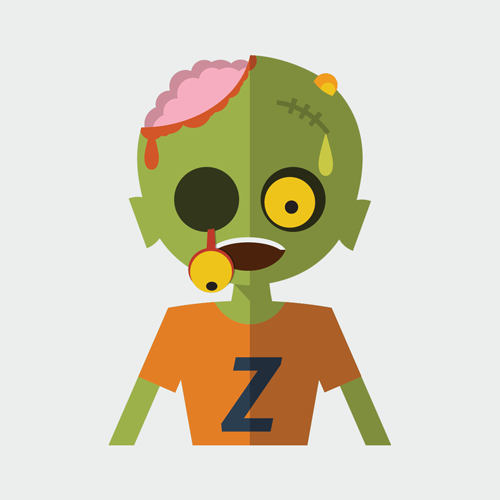 I am sure you have stumbled upon one or two of those “zombie” websites that were created in late 90’s or early 2000’s. They look “BAD” and very often they don’t have any actual content. Why I am writing about it? I just want to let you know how important it is to keep your website updated. The first thing I do whenever I am looking for a local service like restaurant or a store, is to type six magic letters that spell “Google”. It is easier to open a browser in your phone than to take the Yellow pages brick of a book with you. What am I looking for on a local business website? Hours, actual promotions, interesting articles, reviews etc. It looks very bad if the latest changes were made few months or even years ago. It means that the business owner doesn’t care about his clients or he doesn’t know that nowadays most people look for information on the Internet. It is not interesting any more that they are closed on 5th of July, 2005. I want to know what time they close today and open tomorrow, and what I can expect when I cross the threshold. There is also another important reason for keeping your website up to date. Search engines love fresh content. Some time ago Google changed its algorithm to favor the new content over the old one. If you will post updates few times a month you will see your website going up in search engine results. Fresh content will also keep your clients reading and will spark interest. It is a great chance to become a local expert in your field. Post tips, answer questions you hear frequently, keep visitors up to date on news or whatever you think goes well with your business. Try to increase the number of pages you have on your website. It will help your search engine visibility as well. Of course not every change is the same. Little wording changes are not as important for Google as large text or page changes, but be careful about what you post. Remember! The content quality is very important. You can’t post a text full of keywords because Google will recognize it for what it is and will ignore it. Your content must be written in a natural language and it should be unique, that means no plagiarizing. If you use someone else’s text it won’t bring the right results. Looks like all those years in english composition might finally pay off.